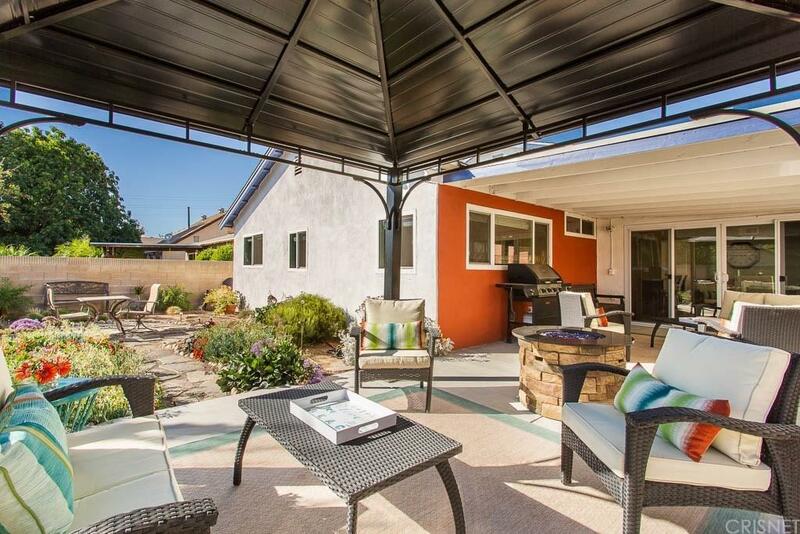 This fantastic home is located in Central Simi Valley in the highly sought after ?Tempo? tract, and as soon as you lay your eyes on it you?re going to recognize all the ?true pride of ownership? 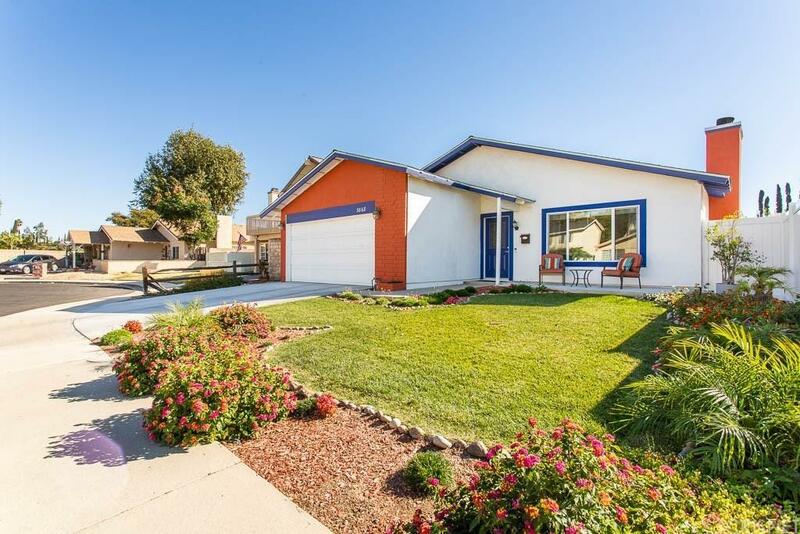 * This cul-d-sac lot home shows like a model home with 1,436 sqft. 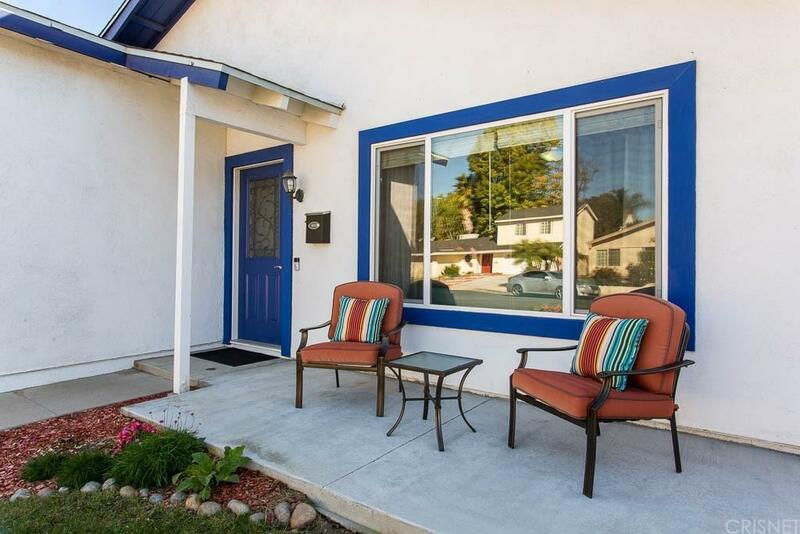 * Great curb appeal on this turn-key 1 story 3+2* Freshly painted interior & exterior ?thermal coating? * Spacious over sized living room with high smooth ceiling and wood burning fireplace* Your family?s chef will enjoy this stunning kitchen with recessed lighting, pendant lit center island, "silestone" counters, full tiled splash back, beautiful cabinets with lighting below, and huge adjoining dining area with lots of windows and access to patio* All 3 bedrooms have wood grain style flooring and lighted ceiling fans* Master suite has walk-in closet, private bathroom* Both bathrooms were redone from top to bottom with bright sun solar tubes* Copper in the garage & high pressure plastic inside the home* Year round comfort with CR/FA* Retreat style big back yard with 2 patios, water fountain, perfect for outdoor dining & entertaining* All newer windows, tiled flooring, doors and hardware throughout* 2 car attached with direct access, along with laundry area. 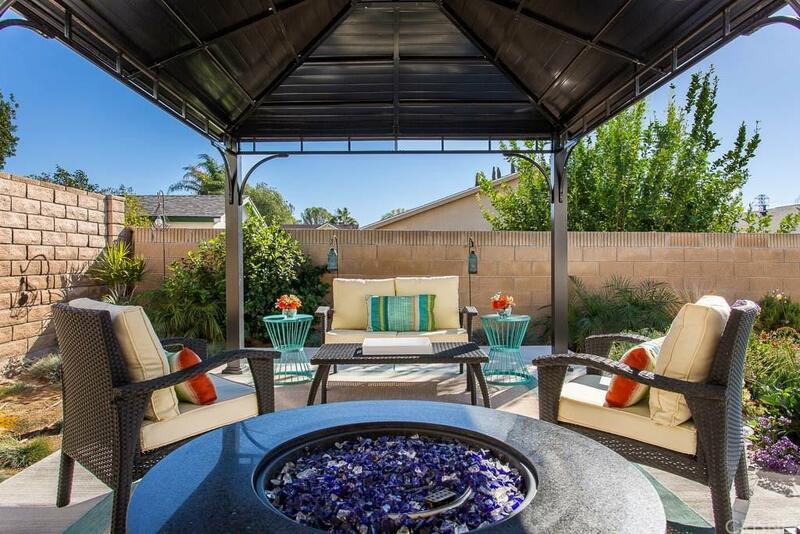 Sold by Mandi Kruse BRE#00672130 of Partners Trust Real Estate Brokerage & Acquisitions. Listing provided courtesy of Daniel Tresierras DRE#00672130 of Park Regency Realty.